The saddle-billed stork lives in tropical regions of Africa, ranging from south of the Sahara, and up to northeastern Sudan. In this region the saddle-billed stork will live in the open country, close to water, in the wetlands and in semi-arid areas. 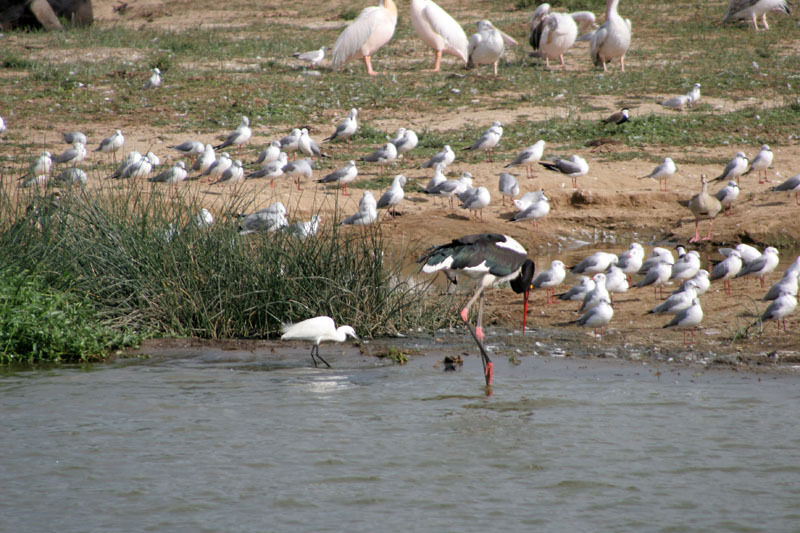 The main factor that determines where the saddle-billed stork will live is the quantity of fish (the more fish the better) and also the amount of large trees and cliffs for the saddle-billed stork to build a nest on. Nest tend to be 20-30M off the ground and are made out of large sticks, on tree platforms or even on the face of a cliff if the location is more suitable for living conditions. Did You Know: Saddle-Billed Storks are seldom found in the southern portions of Africa and are almost never found at the tip of South Africa! See what it needs to live here in the Adaptation section.